Baby John was found dead on a Kerry beach over 33 years ago. GARDAÍ HAVE TAKEN a number of DNA samples in a bid to track down the family of murdered Baby John who was found on a Kerry beach over 33 years ago. 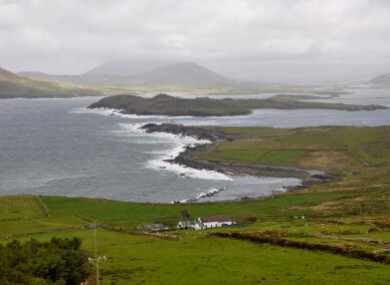 The news comes as around 20 officers descended on Valentia Island to canvass the area. Gardaí said that they had not been acting on specific intelligence but that the island was the closest landmass to White Strand Beach in Caherciveen where Baby John was found stabbed to death. It is hoped that DNA samples taken from a number of people in south Kerry will unearth a link between the murdered infant and his biological parents. At a press conference at the start of this year, gardaí confirmed that a formal apology has been offered to Joanne Hayes for the stress and pain she was put through as a result of the original investigation. She had wrongly been accused of murdering the baby. Speaking yesterday , Superintendent Flor Murphy of Killarney Garda Station said: “The investigation into Baby John is continuing. Significant work has been undertaken since January by the local investigation team supported by the Serious Crime Review Team. Email “DNA samples taken in Kerry Babies investigation”. Feedback on “DNA samples taken in Kerry Babies investigation”.